Flash files are used for do software or update mobile old firmware. If your Nokia X2-01’s firmware have corrupted or outdated then you can download the latest firmware flashing files for your Nokia X2-01 here for free and can flash it with these flash files by using flashing tools or boxes. If you are looking for latest and updated flash files of your mobile then download these files and flash your phone using your favorite flashing tool. 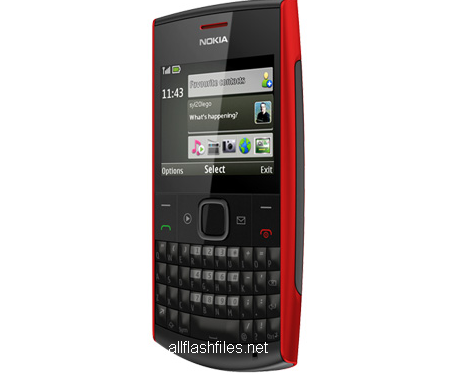 X2-01 is a great mobile phone from Nokia which comes with many handy features. If access installation of applications and games has slowed down or if its firmware has crushed you should flash it instantly to restore it back to the stable condition. Before flashing please don't forget to take a backup of your important data like images, contacts & messages. After successfully flashing you can restore your backup data to your phone safely. You can download latest flash files of your mobile from below provided links. If you will face difficulty during downloading or flashing feel free to contacts us through commenting we will help you if possible for us. hey guys I can't download nokia x2-1 flash files can anyone help me .thanks ! Dear thanks for getting in touch.! We have shared very simple download links which are below of post. Just click on download link your file will be downloaded. with wich softwer we can flash these file? Dear, You can use phoenix service software as well.